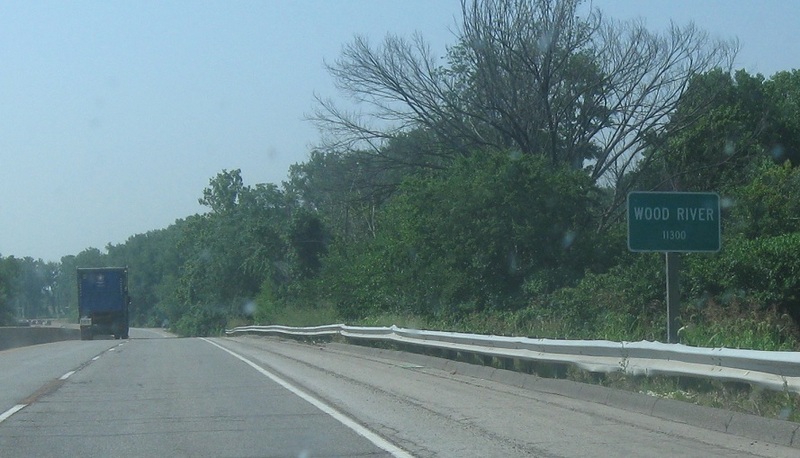 Reassurance shield after the 111 split. 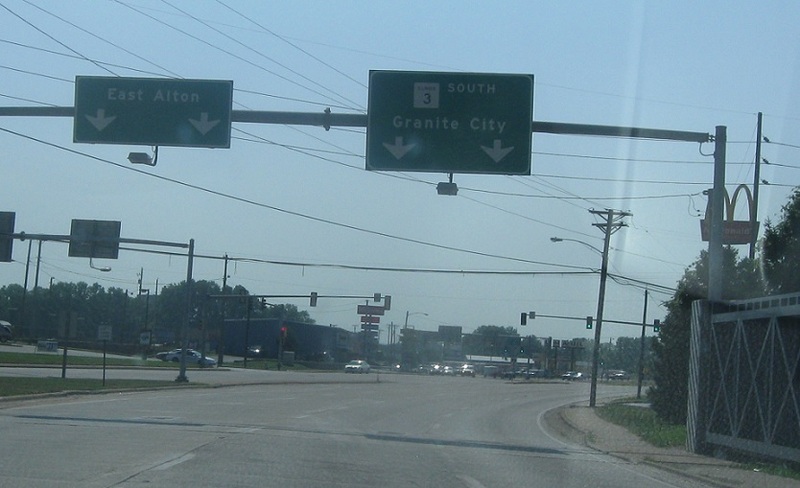 As we head out of Alton, keep right to stay on Route 3. 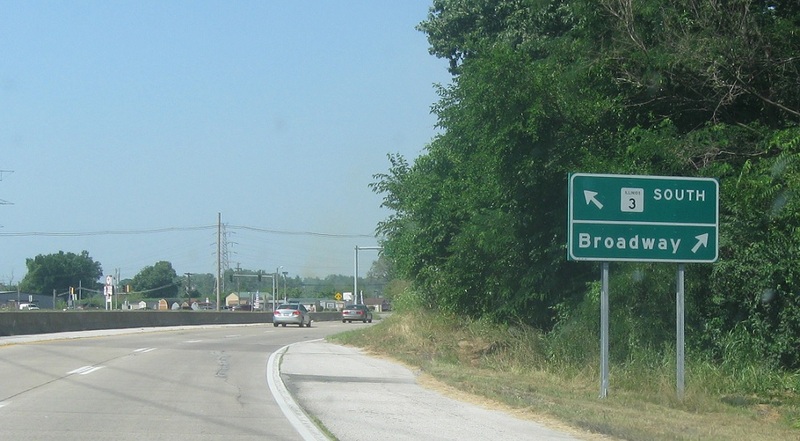 Keep right for Broadway into downtown. 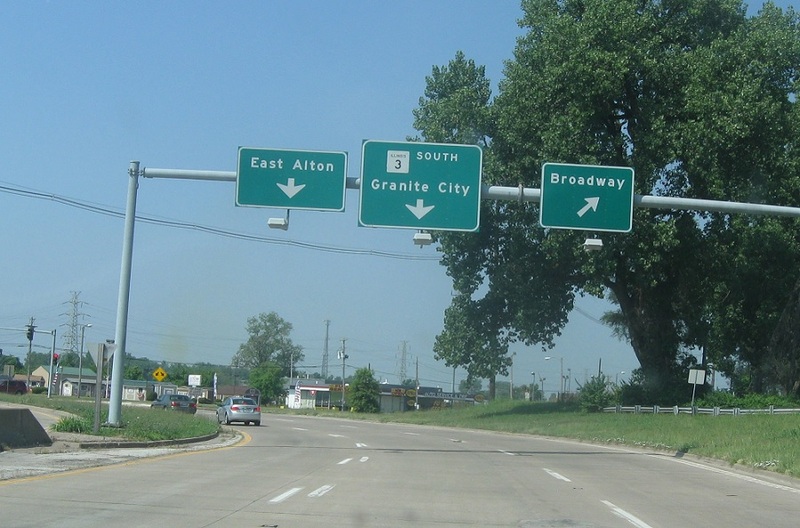 Follow 3 to Granite City. 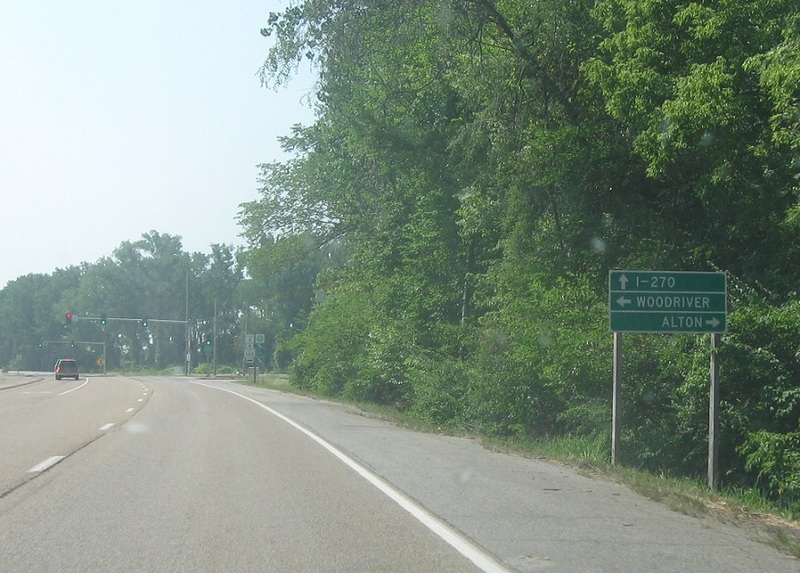 After keeping left, keep right to stay on Route 3. 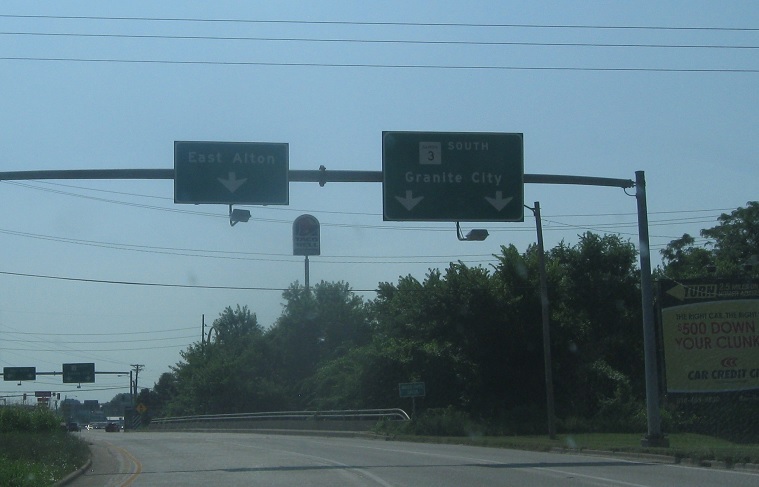 Keep left to fork into East Alton. Keep right for Route 3. Keep right for Route 3. 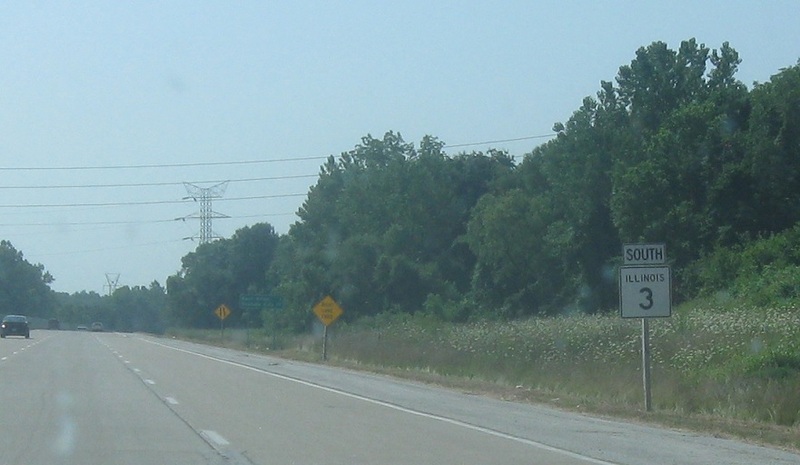 Reassurance shield after the turnoff into East Alton. About a mile later, we’ll enter Wood River. 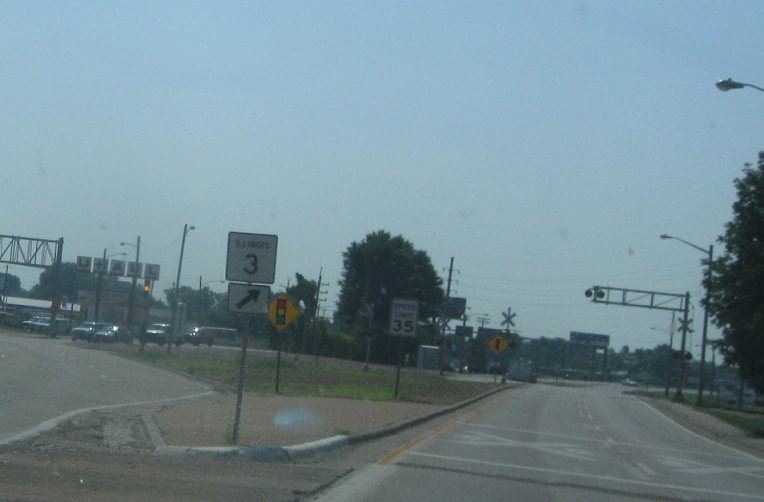 Route 3 just clips the west side of town. 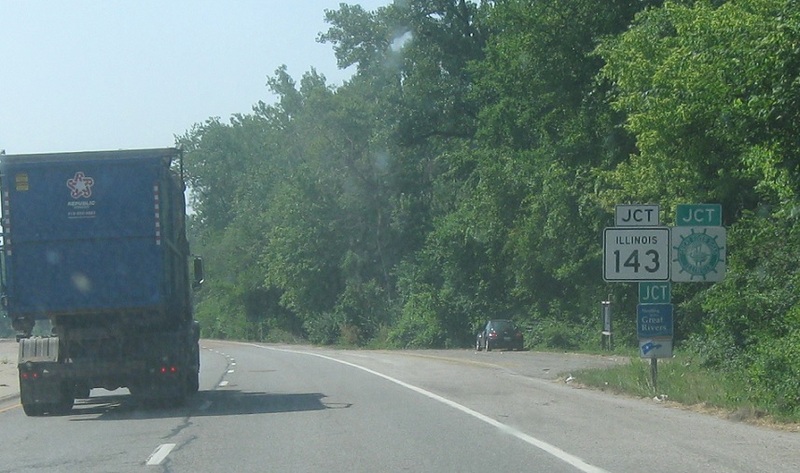 Junction Route 143 coming up. 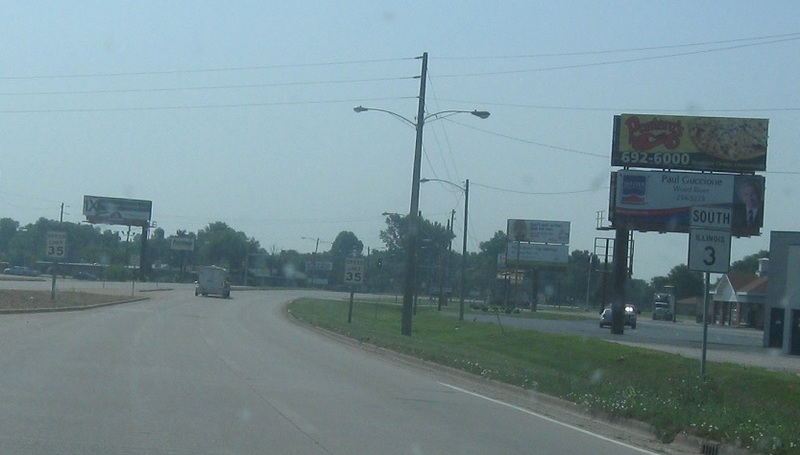 Follow 143 west to Alton and 143 east into town. Stay on 3 for Interstate 270. 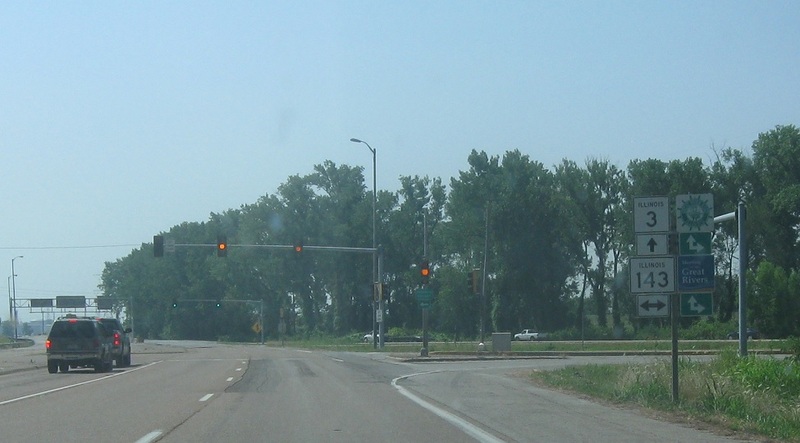 Turn right for 143 west and left for 143 east.